NEW BRITAIN -Thanksgiving is around the corner and retailers as well as consumers are preparing for what follows - Black Friday and the start of the holiday shopping season. 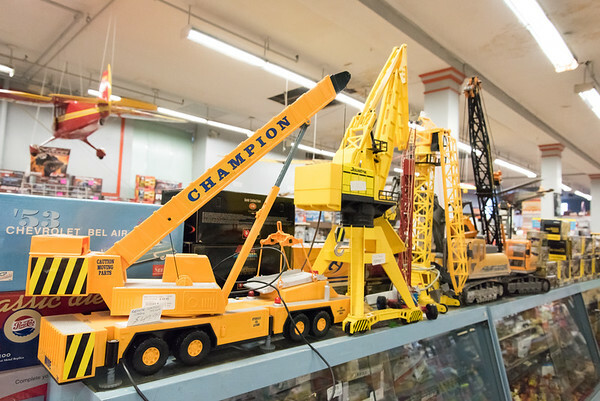 But shoppers will find that, when it comes to toys, the retail landscape has changed. With the the closing of Toys “R” Us, big-box stores such as Target, Walmart, Kohl’s and local stores such as Amato’s Toy and Hobby in New Britain are hoping to fill the void. According to the National Retail Federation, sales in November and December could be up 4.3 to 4.8 percent over 2017. That’s between $717.45 billion and $720.89 billion. The Consumer Technology Association says 85 percent of shoppers in the United States plan on buying technology devices during Black Friday week, which includes not only Friday but Thanksgiving Day and the new online tradition of Cyber Monday. A study conducted by the association showed that the top devices people plan to buy during Thanksgiving week include smart watches, smart phones, video game consoles, digital media streaming devices, laptops and televisions. Best Buy stores in Connecticut, which generally draw large lines ahead of opening, will be open from 5 p.m. to 1 a.m. on Thanksgiving and reopen at 8 a.m. on Black Friday. Best Buy deals include 50 percent off on select small appliances, the Samsung Chromebook and the Samsung 65-inch 4K UHD Smart TV. While tech may be king again this shopping season, video games are also high on holiday wish lists. Mike Morgan, GameStop associate at 707 Farmington Ave., said PS4 and Xbox are still popular gifts for children and adults. “Pokémon: Let’s Go, Pikachu! and Let’s Go, Eevee! are probably going to be another big one,” Morgan said. Red Dead Redemption Two and Super Smash Bros. Ultimate are also some of the games that shoppers will be giving this holiday season. GameStop will be open on Thanksgiving from 3 to 10 p.m. and on Black Friday from 7 a.m. to 10 p.m.
Once again, merchandise related to the Marvel superhero movie franchises is expected to fly off the shelves as well. A store associate at Bricks and Minifigs in Southington said that the Lego, Star Wars and Jurassic Park toys are likely to be topsellers this year. Bricks and Minifigs will be closed on Thanksgiving but will be open Black Friday from 9 a.m. to 7 p.m.
Veronica Martinez, of New Britain, said she is aware of the hype surrounding the biggest retail shopping day of the year, but she doesn’t like Black Friday shopping. “I just shop before Black Friday,” Martinez said. Luisa Pirruccio, of New Britain, said she has never been Black Friday shopping. She said she doesn’t like the idea of the long lines, so she does her holiday shopping before or after Black Friday. When it comes to really hot toys, Jose Torres, store manager at Go! Calendars Games and Toys at the Westfarms mall, said that L.O.L. Surprise! toys will be a big seller this holiday season. Torres added that Shopkins, Barbie dolls and Snoozimals are some of the popular toys that parents will be buying the most for young girls while doing their Black Friday shopping. Westfarms will be open from 6 p.m. to 2 a.m. on Thanksgiving and from 7 a.m. to 10 p.m. on Black Friday. In an effort to prevent the shopping chaos generally associated with Black Friday, some large retailers are getting innovative this year in an effort to help customers make their purchases quicker and easier. Target stores will be offering a “skip-the-line” mobile checkout, which will enable shoppers to checkout with a Target employee from anywhere in the store. Target’s Black Friday deals include more than 15 televisions under $300. In an effort to grab Toys “R” Us customers, it will also offer 50 percent off selected games and puzzles. Target stores will be open 5 p.m. to 1 a.m. on Thanksgiving and doors open again at 7 a.m. on Black Friday. Not to be outdone, Walmart Bristol location will open at 6 p.m. on Thanksgiving. Online deals, however, start at 12:01 a.m. If clothing, boots and housewares are on the list, then Kohl’s in Plainville will open at 5 p.m. on Thanksgiving and will not close until midnight Saturday. Michaels in Berlin, which specializes in arts and crafts, will be open from 6 p.m. to midnight on Thanksgiving and 7 a.m. to 10 p.m. on Black Friday, and P.C. Richard & Son in Newington will be closed on Thanksgiving but will be open 7 a.m. to 11 p.m. on Black Friday. With the large brick-and-mortar toy stores disappearing, at least one local toy store has pivoted away from the hot toy rush. Steve Amato, owner of Amato’s Toy and Hobby in New Britain, said that shoppers are developing an interest in STEM- related toys. He said Lego-related toys, cars, train sets and drones are usually among his best-sellers in the holiday season. The toy store is also selling a 40,320 piece puzzle. 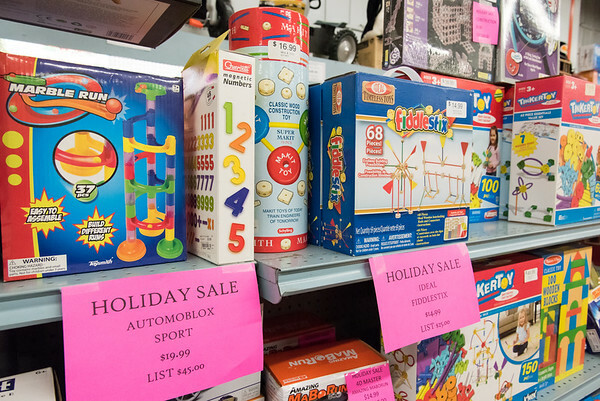 Sales at Amato’s Toy and Hobby are already going on. The store will not be open on Thanksgiving but will open Black Friday from 10 a.m. to 6 p.m. In addition, The store is collecting donations that will go towards the Salvation Army toy drive. 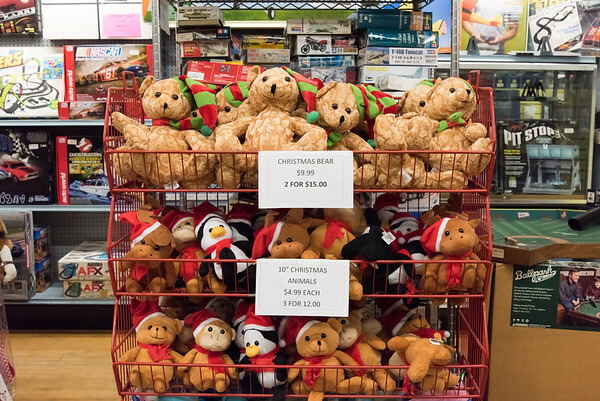 For every $1 donated, the store will donate $2 worth of toys. People who donate for the toy drive will also enter in a drawing for a $50 gift certificate. The store is also collecting food items to donate to a local food pantry. Posted in New Britain Herald, Berlin, Business, New Britain, Plainville, Southington Herald on Sunday, 18 November 2018 21:33. Updated: Sunday, 18 November 2018 21:35.